Major League Baseball has inducted 310 people into the National Baseball Hall of Fame, dating back to the Hall’s first class of inductees in 1936. The members of the Hall of Fame (HOF) include iconic American figures, such as Babe Ruth and Joe DiMaggio, familiar even to non-baseball fans. Additionally the Metropolitan Museum of Art has an online collection of over 410,000 items. 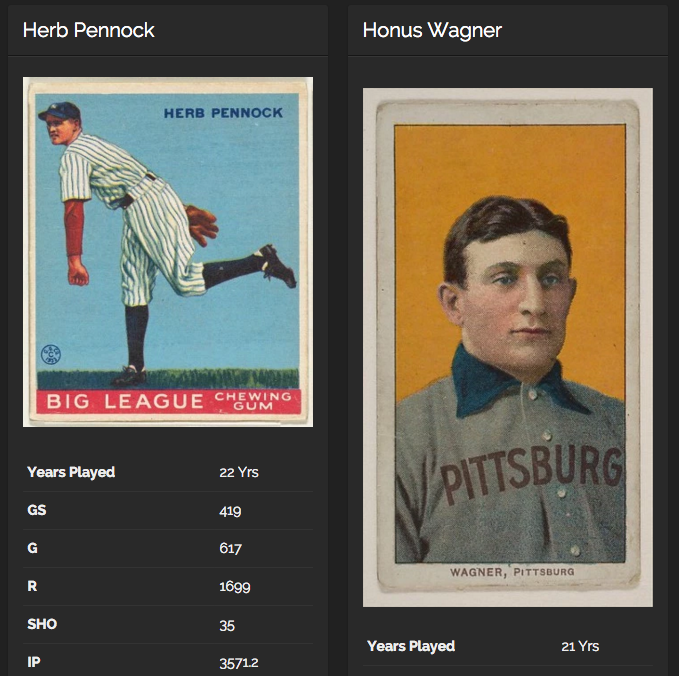 More than 10,000 of those items have the “Object Type: baseball cards.” Of those 10,313 records, 6,680 of them have an image as a part of their online collection record. What this project aims to do is to connect those images, often artistic renderings of baseball’s earliest stars, with the official player statistics for the 310 people in the Hall of Fame, essentially filling in the “back of the baseball card” for these items that fill an interesting niche in the area between sport, art and Americana.